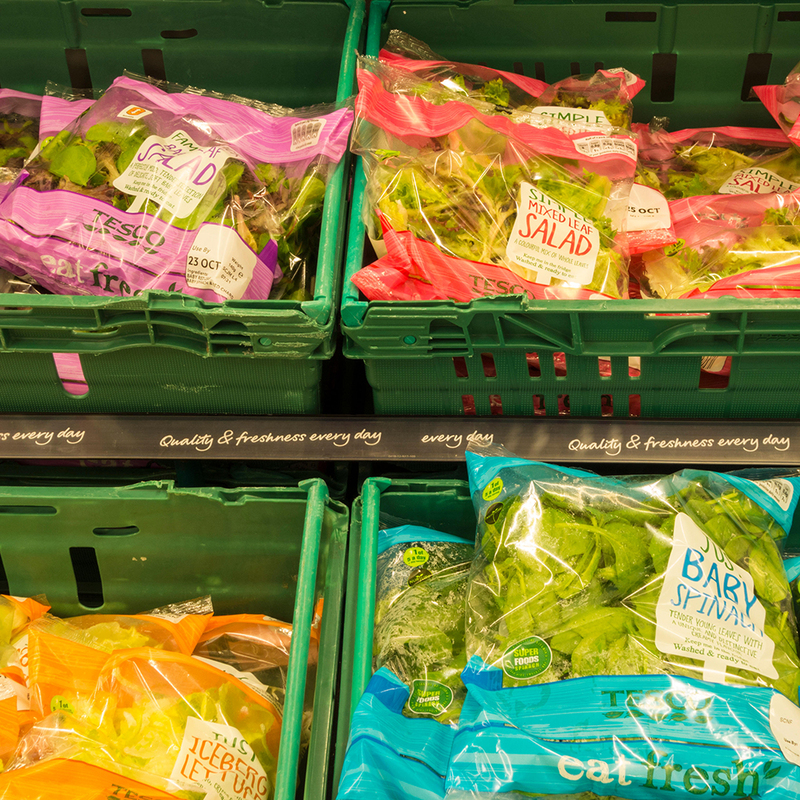 Why would perfectly good bagged salad—packages with two weeks left before its “sell by” date—end up in a landfill? At the very least, shouldn’t those leafy greens be compostable? That’s what NPR wanted to know. Reporter Allison Aubrey recently went to the Salinas Valley municipal dump. The surrounding area in California produces an estimated 70 percent of US salad greens, so it’s not surprising that extra stock might end up there, but the type of salads and how they were disposed of were a bit of a shock. First, she observed bags of salad that not only looked perfectly edible, they were perfectly edible—still two weeks out from their stamped “sell by” date. Though these bags were still fresh by the time they reached the dump, the problem is, under the current system, they wouldn’t have had time to make it to store shelves. As if that’s not bad enough, bagged salad has a second major issue: the bags. The Salinas Valley dump has a separate area for composting, “but because of all the plastic in the lettuce waste from the salad processors,” Aubrey writes, “it can’t be composted.” Instead, all that organic food waste heads to the landfill, where it will release methane, a greenhouse gas that has become a major environmental issue. All this isn’t to imply that bagged salad is inherently bad—though those who don’t mind chopping up their own lettuce might make that argument. Instead, it’s just another indicator of potential flaws in our current food distribution system—one where experts estimate as much as 40 percent of the food produced in the US never even gets eaten. As NPR reminds us, you should at least try to do your part and make sure if you do buy bagged salad, remember to eat it before it goes bad. Food waste is food waste, even if it’s just a drop in the ocean.